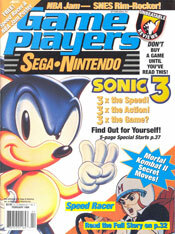 These magazines can be from anywhere in the world. 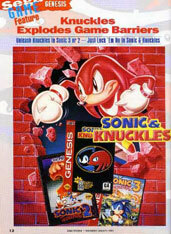 Game Players did their own Sonic & Knuckles cover, and used the seldom-seen "Vandal Knuckles" art. 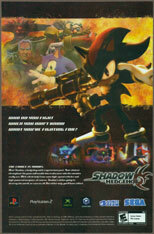 He is spray painting with a can of NON TOXIC, so whatever you put in the background, you can have him spraying over. 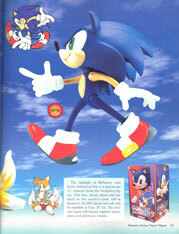 It's odd that this pose/official art for him doesn't appear that much. 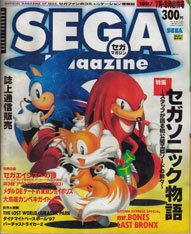 Game Players chose their own sub-head "Sega * Nintendo" where he's painted out 'Nintendo'. 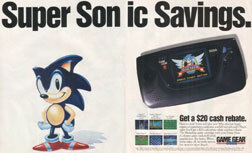 This is a fun play on the rivalry that Sega & Nintendo had at this time. 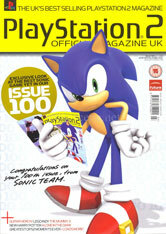 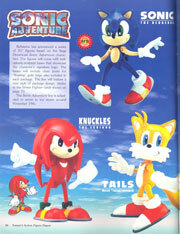 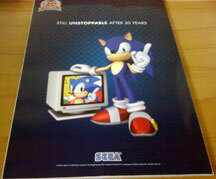 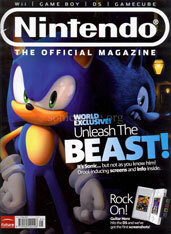 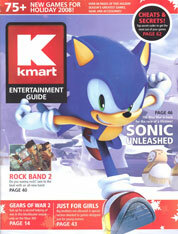 Nintendo Official Magazine had the world exclusive for Sonic Unleashed. 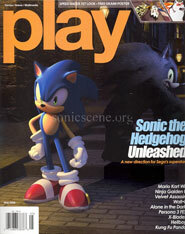 They chose one of the earliest released art which has regular Sonic, but the werehog lurking in the background. 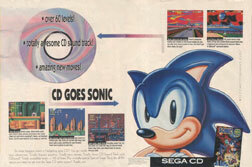 "It's Sonic, but not as you know him" states the sub head, and that you can get the details inside. 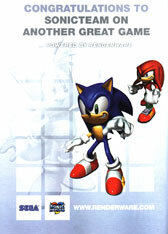 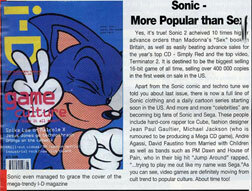 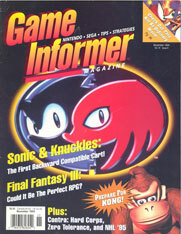 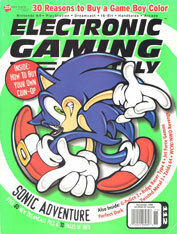 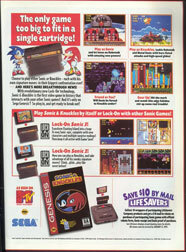 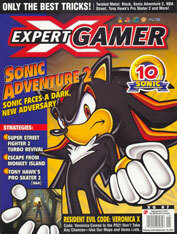 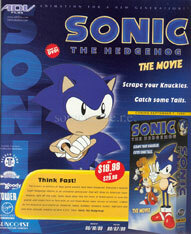 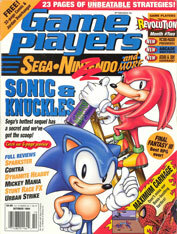 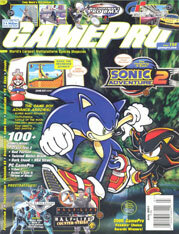 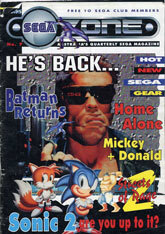 The 20th Anniversary issue of Games Master Magazine (in the UK) was a real big deal...for Sonic! 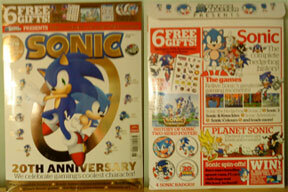 It came with great free prizes (seen around on the UK pages of the site, like pins, stickers & etc) it also came inside a special slip-case (both sides seen at center, above) It features artwork from generations and around that is sonic artwork from 1991 to present. 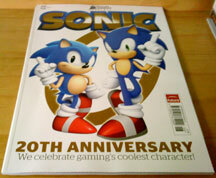 On the back of the slipcase there is info on what is inside the magazine and also there is a notice of a competition to win a holiday to the sonic themed room at alton towers resort.